As always, ISOGG Ireland representative Gerard Corcoran is putting together a marvellous programme for the GGI2015 Fabulous Day Out - a special event for the GGI2015 speakers as well as the volunteers manning the FTDNA stand at Back to Our Past. This is our way of saying thank you to everyone who makes Genetic Genealogy Ireland such a great success. 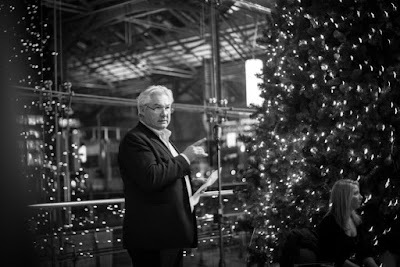 Gerard is a wonderful ambassador for genetic genealogy in Ireland and frequently works "behind the scenes" to establish contacts and relationships with various governmental and commercial bodies within Ireland. 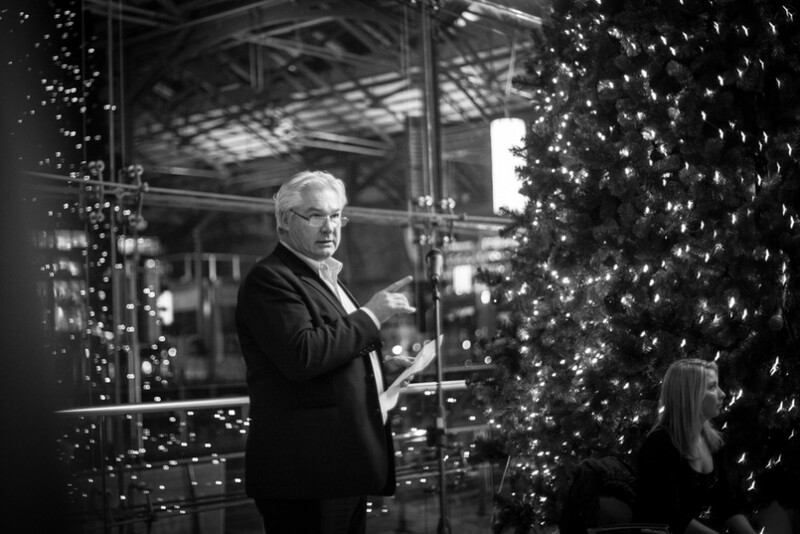 This year he has secured an audience with Mervyn Green (CEO of the CHQ) as well as the Lord Mayor of Dublin. Here is the final agenda for the GGI2015 Fabulous Day Out which will take place on Monday 12th October, the day after the conference. There may be some future changes to the agenda (due to unforeseen circumstances) but such changes are not currently anticipated. Places are limited to only 20 people and the GGI2015 speakers and volunteers on the FTDNA stand get first pick. Any places left available after that will be available on a first-come first served basis to ISOGG members only (so join ISOGG today). If you would like to be considered for a place among the Lucky 20, please leave your details in the comments section below. First-come first served, so be quick! I will notify you if you have been successful in getting a place in the week prior to Back to Our Past. The CHQ building is on the River Liffey. CHQ stands for Custom House Quay. It is several hundred metres downstream from the Custom House. Here it is on Google Maps. A location like no other building in Dublin, the CHQ building overlooks the River Liffey and George’s Dock. 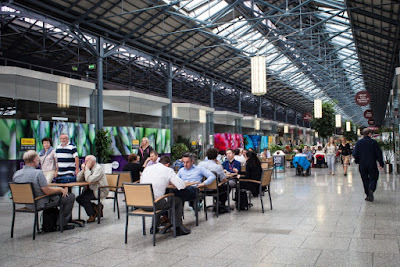 Formerly known as Stack A, the CHQ building is a grade one listed building situated within the heart of the city’s bustling International Financial Services Centre (IFSC) in the Docklands. 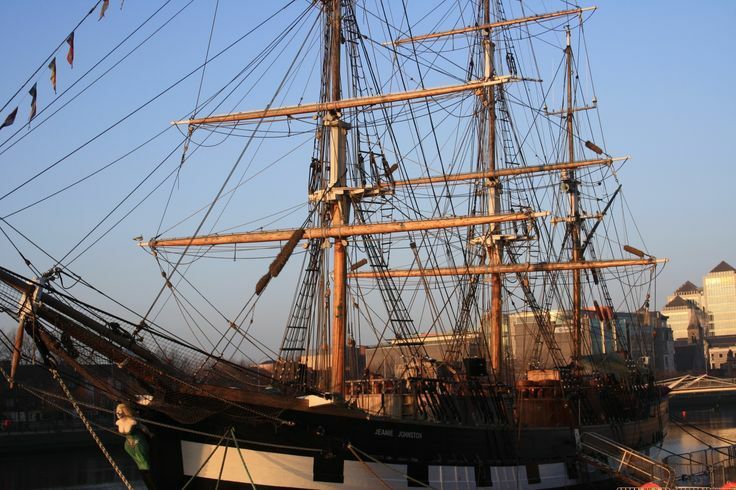 Last year, it was bought for 10 million euro by Neville Isdell, ex-CEO of Coca Cola. Why are we visiting it? Because he is building Ireland's newest Diaspora Museum in its vaults ... and we are going to see it before anyone else! This is the man responsible for supervising the 12 million euro investment in the new museum, which has been christened EPIC Ireland. He will tell us how it came about, what is his vision for the future of this massive project, and how it will impact Ireland's connection to her 80 million strong diaspora. 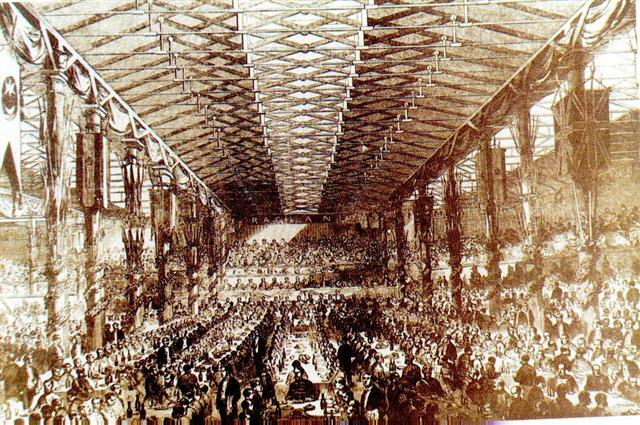 The vaults of the CHQ are vast and steeped in history. 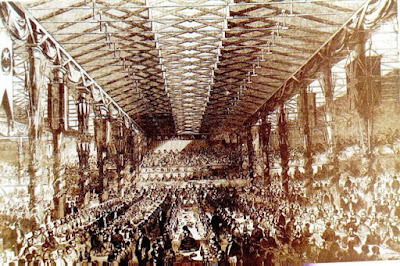 They are so big that they were made famous when the CHQ was the setting for the Crimean War Banquet in 1856 celebrating the return of 3,000 Irish soldiers. EPIC Ireland is the new state of the art visitor experience that showcases the unique journey of the Irish nation, where stories of old are told through the technology of now. EPIC Ireland spreads itself across 21 galleries of vibrant Irish life, as it illuminates the story of Ireland’s communities overseas - past, present and future. A stunning destination for the lovers of food, wine and craft beer. 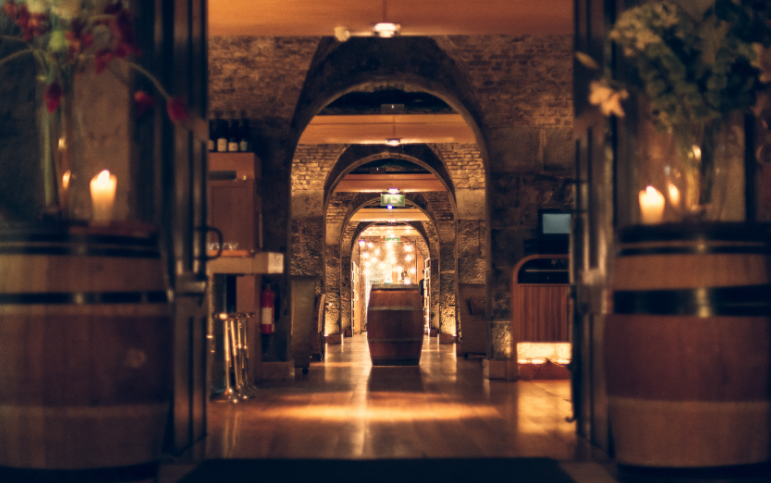 In an 1821 year converted wine warehouse, ely bar & brasserie offers everything from a relaxed family dinner, a pre-theatre bite, private dining rooms and after work drinks. City Hall is an outstanding example of the Georgian architecture for which Dublin is world-renowned. It was designed by Thomas Cooley and built as The Royal Exchange for a then-prosperous Dublin’s merchant population between 1769-1779. Dublin City Council have owned the building since 1851 and have recently restored it to its original beauty. The City Hall now host the multi-media exhibition, 'The Story of the Capital'. This exciting exhibition traces the evolution of Ireland’s capital city, from before the Anglo-Norman invasion of 1170 to the present day. It tells of the city’s founding, through Viking times, and into the unique and vibrant city of today. The story is told through multimedia displays, which offer a fascinating insight into the city’s evolution. Some of the city's wonderful treasures are also on display. 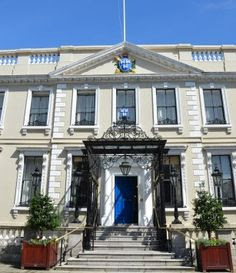 In 2015, Dublin’s Mansion House celebrates 300 years as the official Mayoral residence. The house was built by developer Joshua Dawson between 1705 and 1710 and is a rare surviving example of Queen Anne style architecture in Dublin. In 2015 the Mansion House will celebrate this milestone with a number of events throughout the year. 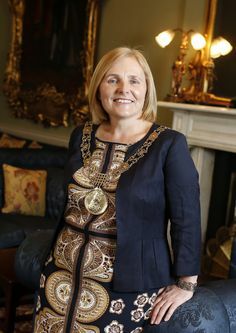 Críona Ní Dhálaigh is the 346th mayor of the city, but only the eighth woman to hold the office. She also has the distinction of being the first Sinn Féin politician to take up the position. 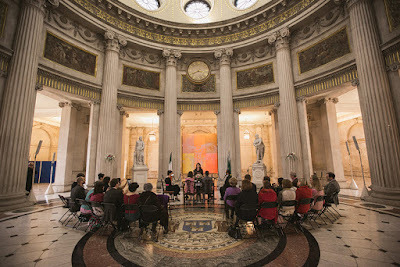 As first citizen, Ms Ní Dhálaigh will preside over the 1916 Rising centenary commemorations in the capital, alongside the President and the Taoiseach. Mansion House protocol stipulates that the mayor comes second only to the President at official ceremonies in the city. Visitors who cannot join us for the day's events can join us in Cafe en Seine in the evening. 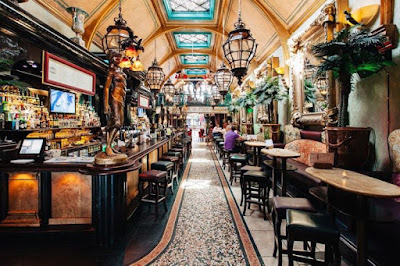 Welcome to a little bit of Paris right here in Dublin. 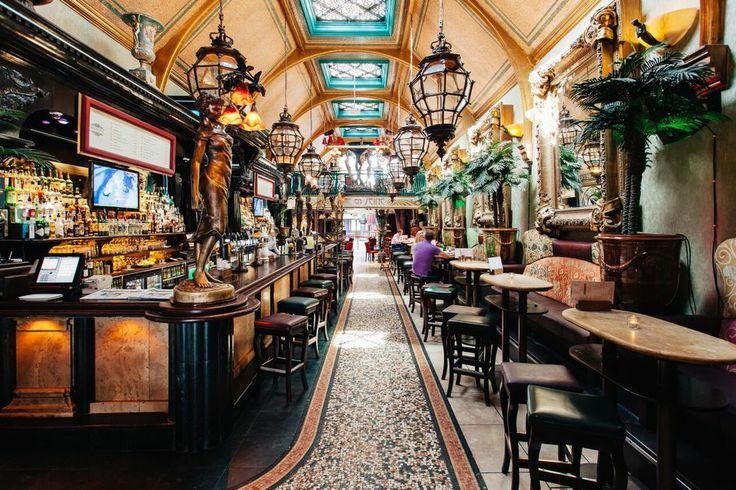 With fabulous food that oozes contemporary Parisian flair, a tempting drinks menu that’s hard to match, and with entertainment that ranges from live artists to live theatre, Café En Seine offers a feeling you won’t find anywhere else in Dublin. Join us for the craic! ISOGG Ireland says thank you to everyone who helps to make Genetic Genealogy Ireland the great success it has become. I would like to be put on the wait list for The GGI2015 Fabulous Day Out (Mon Oct 12th). No problem Laurie - you are number 2 in line. Hi Laurie, you made the list! You are welcome to join us on the Monday (starting at 9.30 at the CHQ). Please let me know if you still want to come. Hi, my name is Timothy Sisk and I would like to be put on the wait list for GGI 2015 Fabulous Day Out. Hi Timothy, you made the list! You are welcome to join us on the Monday (starting at 9.30 at the CHQ). Please let me know if you still want to come. I would just like to clarify for our overseas visitors that "Craic" is not an illegal substance but rather the Irish expression for having fun. Deb Gellerson and I would both like to be added. Please count me in. Many thanks to Gerard for arranging such a fabulous day out for us. He does us all proud. Hello, as you know, I booked for GGI before the dates changed but now I'll be arriving on Monday morning. My mom and I would like to catch up with the group after we get in from our 8:40am arrival. We'd like to be #4 and #5. Looking foward to seeing everyone! Hi Attica, you made the list! You are welcome to join us on the Monday (starting at 9.30 at the CHQ). Please let me know if you still want to come. Hi Cliona, you made the list! You are welcome to join us on the Monday (starting at 9.30 at the CHQ). Please let me know if you still want to come. Maurice, please put Linda, Emily, Candy, Joss, Cheryl & myself (Dee) down...Thanks!